Despite a massive boom in polar bear numbers, the US Department of the Interior put polar bears on the Threatened Species List today. Not because of actual numbers. 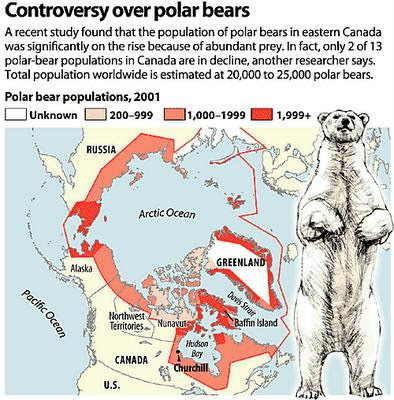 In reality, polar bear populations are booming, not declining. A cull would make more sense. Oh, and… Ice between Greenland and Canada is at its highest level in 15 years. The US listed polar bears on the threatened species list today due to manmade global warming projections.